These devices are becoming part of our lifes. People at coffee shops are quickly looking up information on the intenet using thier smartphones, take a quick look at the news with their tablets, others play games or share their findings on the internet with their friends. It is safe to say that in the near future many website visits, from everywhere in Cyprus and everywhere in the world, will be coming from these devices. How would you feel if you would lose important visits just because your presence at the current device was not professional, clean and comfortable to the reader? It is hard to decide to take the next step and decide what is best for your business without having a clear picture of your options. To make the right decision you need to understand the difference between these important elements. A mobile application is something completely different. It is a program that must be installed by the user on the device. It may or may not require internet connection, unlike a mobile website which is viewed only online. The mobile application is able to use the device resources and initiate other programs on that device. It is expensive to build and it is written in programming languages like JAVA. 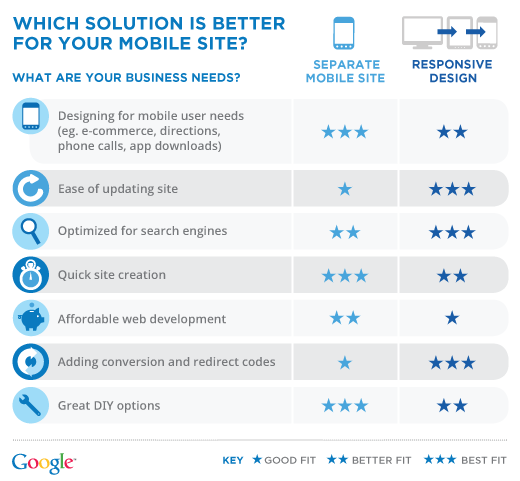 Now a responsive design is not a mobile application. It is not a different website like mobile websites either. A responsive design is a design technique that allows your website to look good in any device, regardless the screen size. It has the ability to adjust in different screen sizes, to shift or remove parts of the content to make it user friendly for everyone. 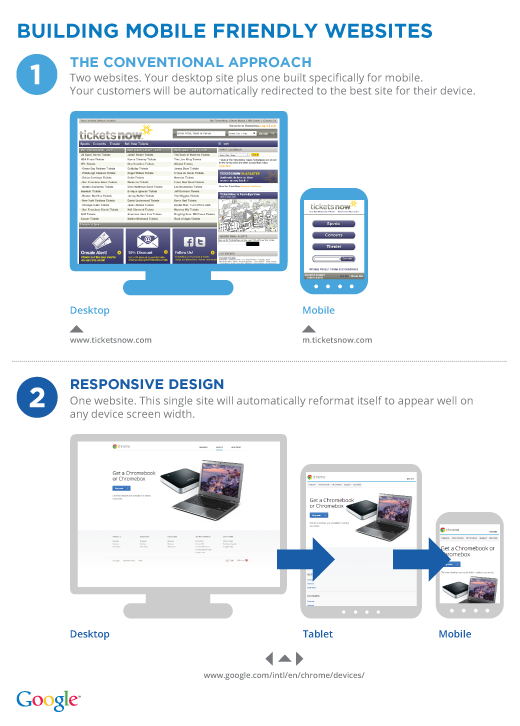 To see a responsive website in action, just decrease the size of your web browser and see how our website behaves. So what is the best? We simply cannot say! It depends on you, your plans, your buisness and your current online status. Please review the following table for more information.